This is Psynde's own description of the bracelet. Remember, there is a SPOILER here if you haven't read Last Sacrifice yet. two strands of silver plate chain hold a black cubic zirconia heart and a tiny black handcrafted Turkish Nazar bead. 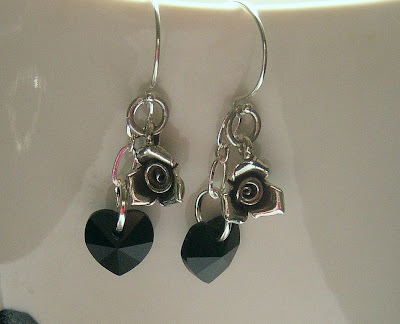 Black hearts are what I have come to associate with Adrian..Now we move into a new story..
Psynde has also added a couple of other Vampire Academy pieces to her store, including these wonderful wonderful earrings. They are called Love Is A Rose, and you can find them here. 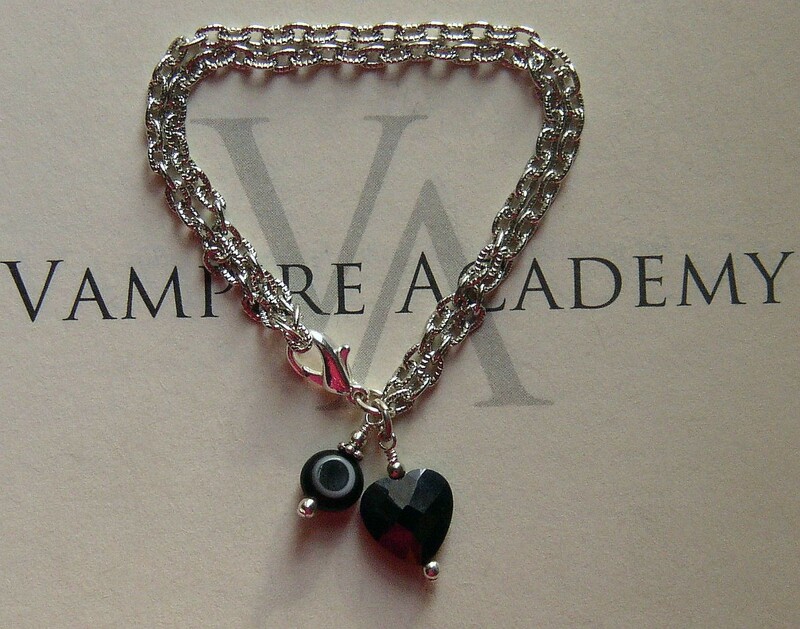 These updates from Psynde are also special, because she has now confirmed that she will be creating more Vampire Academy jewelry. 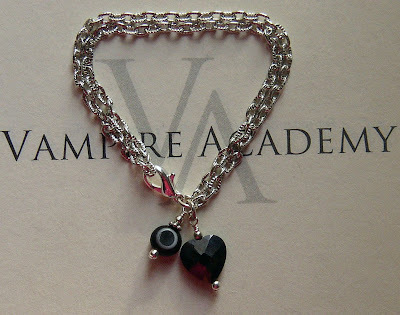 For a while it was uncertain whether she would continue with Cemetery Cat Jewelry at all, so we're very happy that she has not only decided to continue creating jewelry, but also more lovely pieces for us Vampire Academy fans. it is nice dresses, if anyone of u remember about the dress up of nina dobrev in vampire diaries season 2.. i just like it.